If you’ve just found out that you’re pregnant, ‘What’s the gender?’ might not be the question you’re asking. Instead, it’s probably, ‘Can I afford a baby?’ as that is a question that many Millennials and others are asking today. When my husband and I found out I was pregnant, we immediately started saving for a baby fund. We put money away in a separate, high-yield savings account earmarked for the arrival of our little one. As my pregnancy went on, we found out we were having twins, which took the question of whether or not we could afford a baby to a whole new level. It instantly caused us to increase our savings goal to $10,000. I’m glad we did, because as it turned out, we needed it. The cost to raise a child as of January 2017 is $233,610. This does not include the cost of college. I know firsthand that having a child doesn’t have to be outrageously expensive. I’ve tried to be frugal with my children, sticking to the 4-gift rule at Christmas and avoiding pay high prices for things like shoes, the latest, greatest toys or the hottest designer fashions for baby. I didn’t buy every baby gadget imaginable. I used cloth diapers. I bought used cars. I scoured garage sales. Even so, a lot of our money has gone towards taking care of these kids in their first few years of life. Even now, we pay $1,600 per month for childcare, which is more than our mortgage. I explain all this to illustrate that affording a baby can be a financial struggle even if you have a good income. It’s also an emotional struggle. You always want the best for your kids, but sometimes you can’t give it to them. The cost to raise a child does vary significantly depending on where you live, though. It also depends on the type of childcare you choose (if any) and how well you manage your expenses and spending. The cost to raise a child shouldn’t deter you from growing your family because there are many ways to raise a child on a budget and still enjoy being a parent. Still, at a base level, if you want to feel comfortable about being able to afford to have a baby, you should have enough money to cover these four items below before your little one arrives. The very first event of your child’s life, his or her birth, is central to answering the question of whether or not you can afford a baby. Get the answers you need by calling your insurance provider to get an estimate of how much you will have to pay out of pocket for your birth. I paid $800 to my doctor before I had my twins, but because my twins came prematurely, I got bill after bill for the care they received in the NICU. Had I not had insurance, their NICU bill would have been well over $100,000. With insurance, we reached our $4,000 out of pocket max very quickly. As evidenced by my NICU bills, sometimes the unexpected happens. While you might only have to pay $500 for your delivery on paper, make sure that you also have an emergency fund ready should something go wrong. Online banks like Ally Bank are a great option as they have no minimum balance requirement and pay at least 1.20% interest on your savings. Having a newborn is hard enough without having money stress added on top of it. Plus, kids get sick. A lot. You’ll be bringing them to the pediatrician for coughs. They might even have an ER visit and overnight hospital stay like my daughter did last summer. You never want money to stop you or make you pause before getting your child the care that they need. A 3-6 month emergency fund is ideal, but if you don’t have any savings at all, start with $1,000 and go from there. Having some money saved up goes a long, long way in helping you afford a baby. Babies don’t need much. I spend way more on my children now than I did when they were newborns. Newborns sleep a lot and cry every few hours to be fed. Breastfeeding can help reduce the cost of feeding your child, but not every mom can. Formula can be pricey but there are many different brands available. There are also programs like WIC that can help you afford a baby if you’re struggling financially. Aside from paying for the birth, having money set aside for emergencies, and paying for your baby’s basic clothing and food needs, you’ll also need to buy a new carseat. There are some things you just shouldn’t buy used and car seats are one of them. I’ve purchased used strollers before, though, with no problem. There’s also other gear that might make your life easier. My sister swears by a baby swing. All of her kids loved them, while mine liked their bouncy chairs. Really, you won’t know what works for your child until you try it! Hopefully, the items above don’t overwhelm you. I know that looking at lists of baby “must haves” can get really stressful. Really, newborn babies do not need much in terms of baby stuff. They just need your loving care, a safe place to live, clothing, and food to eat. It will make your life easier, though, if you save ahead of time and plan for the arrival of your bundle of joy. You can purchase things along the way, have a baby shower, and work side hustles to build up your emergency fund. These are all things I did, and I felt financially secure when my babies arrived. They didn’t have every single item the registries at the big box baby stores suggested, but they had what they needed. What were some of your must-have baby items? Are there any other expenses people should consider before having a child? What concerns do you have about how to afford a baby? The post Can I Afford A Baby? 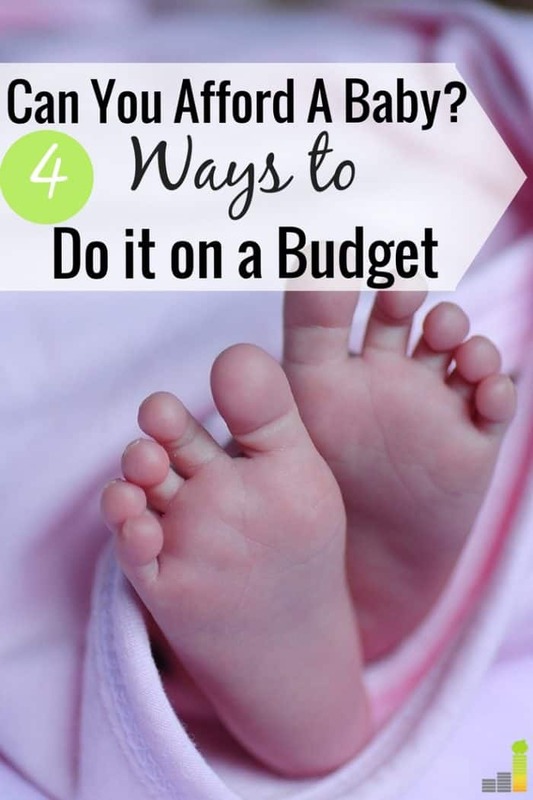 4 Simple Tips to Get Prepared appeared first on Frugal Rules. How to Buy A Car With Cash: Say Goodbye to Car Payments!